AIMT- Accurate Institute of Management & Technology has been consistently reinventing management education with the objective of creating business ready global professionals who can navigate the ever-changing business landscape. 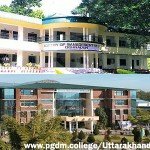 Post Graduate Diploma in Management (PGDM) program of AIMT is approved by All India Council for Technical Education (AICTE, Ministry of HRD and Government of India) in the year 2006. The curriculum is constantly updated to meet the dynamic needs of industry and academia. AIMT is continuously engaged in innovating curricula by envisaging current and emerging challenges and opportunities in the business environment. To incorporate the contemporary academic and practice concepts, the curriculum design and delivery process is dynamic in nature. The program of study aims at preparing graduates for taking up corporate assignments/entrepreneurial venture or carrying forward their family businesses. 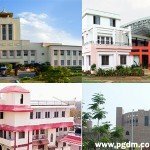 PGDM is designed with the objective of creating excellence in the Business and Social community by training students to be capable professionals equipped with the skills and knowledge of management combined with human values. Develop analytical skills of students so as to understand business situations and decision making skills. Demonstrate effective team work in a diverse working groups and achieving organizational goals. Accordingly, the program has a large component of working in real world situations under the careful guidance of mentors. Indian economy is growing at a very fast pace. There is a ever growing demand for business executives/leaders/entrepreneurs. 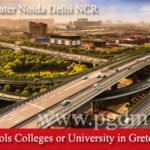 Hence, there is ample scope for PGDM graduates to obtain gainful employment in all sectors of industry, and in non-governmental Organizations or they can also choose to become an entrepreneur. Careers are possible also in small and large Organizations, in high-tech as well as low-tech companies, and in any part of the world. 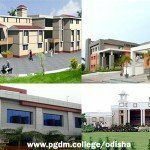 Candidates seeking admission to the PGDM program shall be required to possess a bachelor’s degree in any discipline from a recognized University. Many international research findings have positively recommended the case study method as an important methodology in management education. The case study method of teaching at Accurate provides our students the analytical orientation to handle the real life scenario with higher degree of comfort. The students participate whole heartedly in all the three processes of development of case studies, analyzing case studies, and solving case studies by applying the concepts and ideas of management. Projects are compulsory and indispensable part of the curriculum at Accurate. All students are compulsorily required to undertake Research Projects/ Live Projects and prepare the dissertations according to their curriculum. The Summer Internship Project of eight week duration wherein a student is required to undergo practical training in a corporate house or may undertake a research project under the guidance of a faculty member. 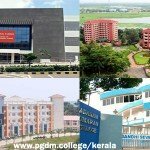 The Seminars and workshops on different contemporary themes in accordance with the latest trends at global and the national level at Accurate make it markedly different as they focus on the areas of crucial and strategic importance and focus on providing the students the special edge over their colleagues. The two-year PGDM program consists of six terms. This is also a dual specialization program where students can choose two elective areas from a range of functional areas such as Marketing, Finance, Human Resources, Information Technology and International Business. The program is a full time program offered from Greater Noida campus. Students go for industry internship program after the third term (at the end of first academic year) for about two months. Basics of Accounting, Basic Economics, Basics of Business Statistics, Basics of Communication, Basics of Computer Fundamentals. Marketing Area: Consumer Behavior & Integrated Marketing Communications, Digital Marketing, Brand Management, Marketing of Services, B2B Marketing, Marketing Paradigm in Emerging Markets. Finance Area: Banking Management & Financial Planning, Security Analysis & Portfolio Management, Corporate Restructuring and Valuation, International Financial Management ,Financial Derivatives ,Project Finance . Information Technology: Web Technology, Enterprise Resource Planning, Decision Making through Advance Excel, IT Infrastructure Management, Business Intelligence and Data Mining (BIDM), Software Project Management. Last term is focused on dissertation project which gives students practical knowledge business research. Awarded A1 Category B-School by AIMA – BS Survey 2012. Awarded Best Management Institute in North India by Brands Academy in 2012. 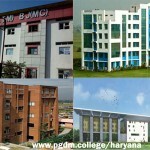 Best Management Institute for 100% Placement & Infrastructure in North India By Business Sphere in 2011. 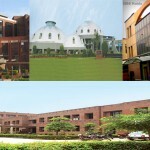 Best Institute for academic excellence in Delhi/NCR by Time Research in May 2010.